1: When you drop food on the floor, they will eat it. Under my table has never look so good, I just wish I had a dog back when my kids were still babies and throwing food on the floor. They also like to eat the random scraps of food left behind. 2: They force you to exercise. Dogs like to go for walks. It gives you the perfect excuse to roam the neighborhood at night and look through your neighbor’s windows. And I mean that in a completely non-creepy way. 3: They are always happy to see you. Our dog gets so excited when everyone single one of us comes home. 4: When you are home alone you have someone to talk to. And dogs are great at looking at you and cocking their heads and pretending that they understand. I always tell my puppy how smart she is. And then she chases her tail around until she is dizzy and falls over. 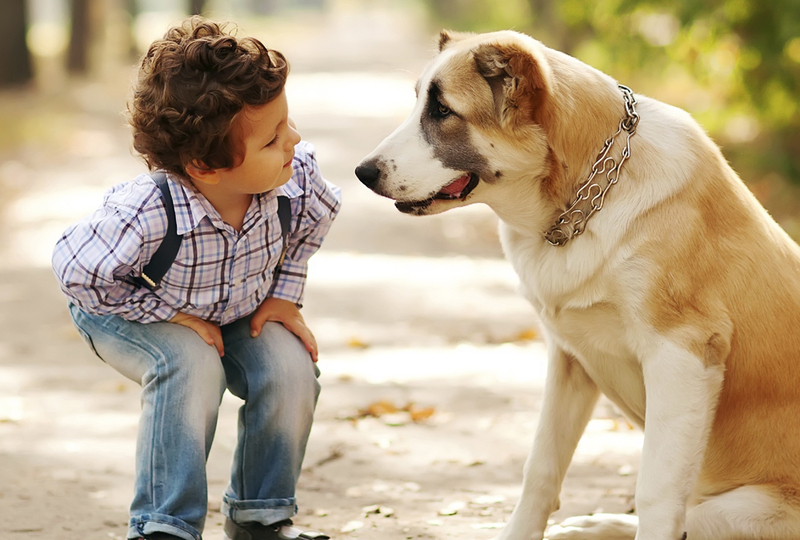 5: A dog teaches your children responsibility. Left your favorite shoes in the middle of the room and the dog chewed on them? Well, should have put them away where they belong. 6: It also teaches your children compassion and anger control. See the shoes above. 7: Dogs like to snuggle up to you and keep you warm when it’s chilly. 8: Kids learn about taking care of someone other than themselves. I wouldn’t count on a kid doing all the chores related to a family pet, but mine are all certainly aware if the dog needs to be fed or needs fresh water and they will just take care of it. One of mine asked if babies were as much work as having a dog. Oh, how I laughed at that question. 9: Having a dog IS like having a baby, but only the fun parts. You can’t let babies out in the yard to poop. And you can’t leave them home all alone or put their food in bowls on the floor. They have laws about these things. And even though a kennel might seem to be similar to a crib, it’s not the same at all. 10: Dogs love you like you are the best person ever. What’s not to like about that? 11: You get used to being covered with dog hair. I like to pretend all my clothes are made from angora wool. 12: My teenagers and I will sit on the floor and play with the dog together, reminiscent of when they were toddlers. It gives us something fun to laugh about at the end of the day when we are all exhausted and often prone to be snappy with each other. No matter what has happened during the day, you can’t play with a dog and be angry. It’s a fact.